Joseph Avedis Ignatius, general surgeon, founder of The Surgical Index, gifted athlete, and devoted husband and father, died from natural causes Sunday, October 4th at the age of 90 in Santa Barbara. All who knew him felt elevated in his presence. He loved inclusive discourse, encouraging participation from all present. It was never about him but about you, finding out what your passion was, or simply how your day went. He loved politics, movies, and music—the jazz greats, but also the Beatles and Dylan. He had a wonderful sense of humor and a love of life. Born in Glendale, CA in 1925, Joe was a first generation American of Armenian heritage and the youngest of three children. He received both undergraduate and graduate degrees from Stanford University. Interrupted by service in the US Navy during the Korean War, he returned to Stanford to complete his surgical residency. Joe set up private practice in Los Altos, CA and taught at Stanford Medical School and California Pacific Medical Center in San Francisco. He was an active contributing editor to the American College of Surgeons’ continuing medical education program and a member of the editorial board of the Archives of Surgery. In 1950, Joe married his first wife, Virginia Eddy, with whom he had four children, Peter, Barbara, Michael, and Elisa. In 1978, he married his second wife, Cherie, with whom he happily enjoyed 37 years of marriage. In the 1960s, he joined Concerned Physicians and Scientists Against the War and later was appointed by Dr. Phil Lee, then assistant secretary for the Dept. of Health, Education, and Welfare, to help establish one of the first medical clinics to provide care for people in rural communities who had little access to quality medical care. In 1972, Joe began The Surgical Index, which was perhaps his proudest achievement and most enduring legacy. Each month, his astute critical reviews of the surgical literature were an immense aid to practicing surgeons and surgical residents. More than 3,000 surgeons and universities subscribed worldwide. 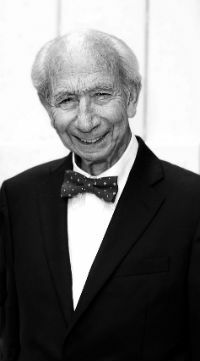 In 2011, the Annual Ignatius Lecture in Surgery was established at Stanford University in his honor, acknowledging his contribution to the field of medicine and to the practicing surgeon. A life-long tennis player, Joe began to compete both nationally and internationally in his 40s. By the end of his competitive career, he had achieved a ranking of number five in the world and had represented the U.S. in multiple international senior Davis Cup-type competitions. Joe is survived by his wife, brother, sister-in-law, four children, four grandchildren, and seven nieces and nephews. A memorial service will be held on Saturday, November 21st at 11 a.m. at All Saints-By-The-Sea Episcopal Church in Montecito, CA. In lieu of flowers, the family asks that donations be sent to Serenity House in Santa Barbara; Visiting Nurse and Hospice Care (Santa Barbara); or The Ignatius Lecture Fund-Stanford Department of Surgery.